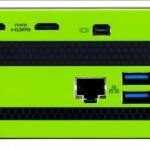 Ever heard of any BRIX Gaming system? 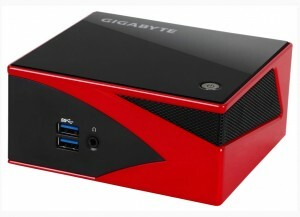 Well if you haven’t it’s a new line of mini desktop computers by Gigabyte. 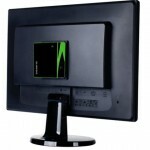 The first one in the series was powered by an AMD processor with a Radeon GPU. 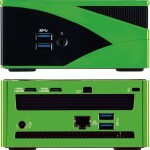 The second one and the latest in the series code-named GB-BXi5G-760, houses an Intel processor with an Nivida GPU. Seriously, till now we have seen many compact CPU’s but those systems were not recommended for gaming. But as of now, companies like Gigabyte have made it possible to produce decent gaming CPU’s that can be held single handedly. You can install them with your PC anywhere you like, be it at the back of your monitor or a tiny book shelf…..or maybe near your keyboard. It’s portable, so just imagine what can be done with it. It can be always with you. Soon, we will be using these kind of compact systems in the future to redefine a new era of PC growth which is declining gradually at present.